If Brunswick Corp.’s announcement early this year that it planned to sell its Hatteras and Cabo brands prompted sales to decline, the sale to Philadelphia-based private equity firm Versa Capital Management LLC six months later has had the opposite effect. “They were wondering who will buy the company, where will my boats be built, will they shut it down, will they move it to China? The fact that it’s a U.S.-based private equity firm, it’s no longer publicly held, it’s staying in New Bern, N.C., and it’s keeping the management team that helped with the divestiture” is comforting. “We’re known entities to the industry, to our dealers and, in many instances, to our customers, and that is a very comforting thing,” Ward says. A Versa representative reinforced to dealers at an August forum at the new Fort Lauderdale-based Hatteras Cabo Yacht Center that Versa bought the company to invest in it, grow it and return it to greatness. The rep also emphasized that the company was keeping its management team, Ward says. Along with the acquisition, Versa also announced that Ward, a 24-year marine executive, will continue to lead Hatteras and Cabo as president and CEO. The news came as a surprise to some because Ward’s tenure with the Brunswick Boat Group had been long, both at the helm of Boston Whaler and at Mercury Marine. Ward says he enjoyed his time at Brunswick and is looking forward to new opportunities moving forward. Ward didn’t say why the announcement to put the brands up for sale was made prior to having a buyer, but he did say Brunswick wouldn’t have sold an operating unit that was contributing to its bottom line. 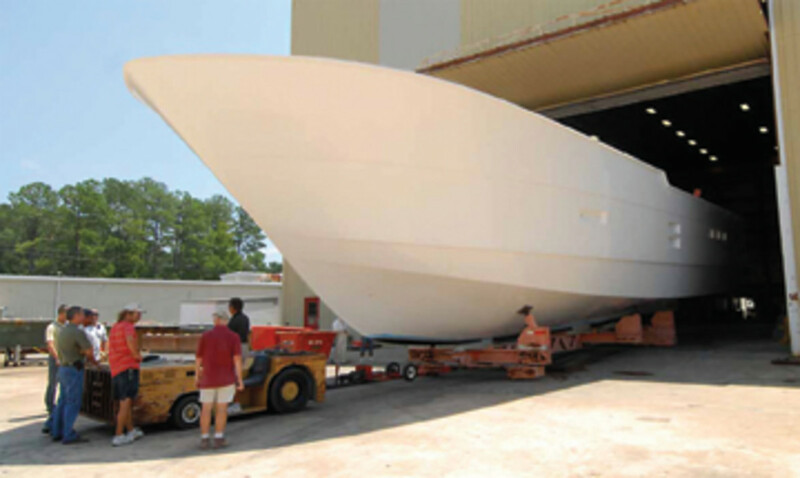 Under new ownership, the Hatteras/Cabo operation will focus on its new Fort Lauderdale-based Hatteras Cabo Yacht Center at the Billfish Marina. Cabo’s former sales vice president, Don Smith, was tapped in September to be general manager of the center. The company had begun to move away from a traditional dealer-stocking model just prior to Brunswick’s announcement that it planned to sell the brands. The announcement occurred just about the time the new yacht center was up and running. With the exception of “a couple straggler units,” most of the field inventory is gone, Ward says. Smith had spent more than four years with Cabo before leaving in June 2012 to become vice president of sales at Bertram Yachts. 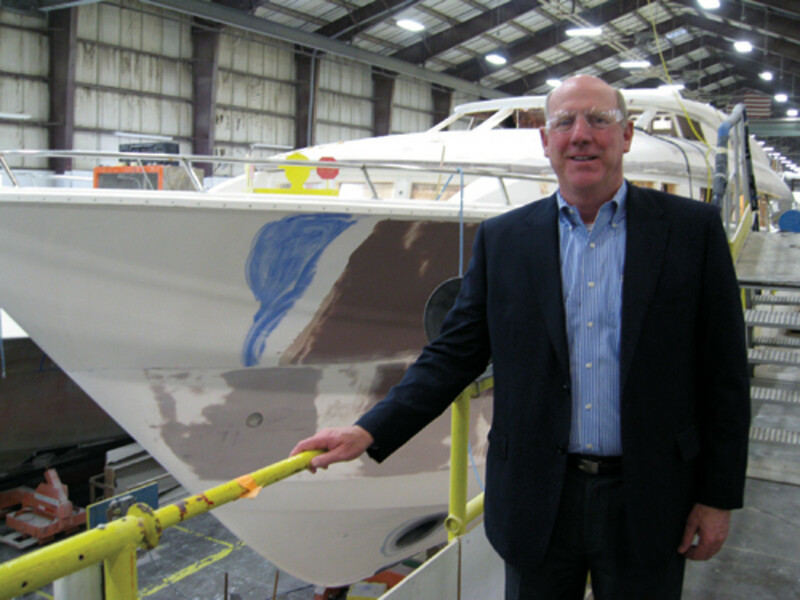 He has worked in sales since 1990 for companies that include Chris-Craft, Galati Yacht Sales and MarineMax. Two international buyers have already purchased the new flagship motoryacht, the Hatteras 100 Raised Pilothouse, which wasn’t to be unveiled until the Fort Lauderdale International Boat Show.